The annual Lutheran World Relief In-Gathering on October 27 at St. John’s in Bloomington was a huge success. 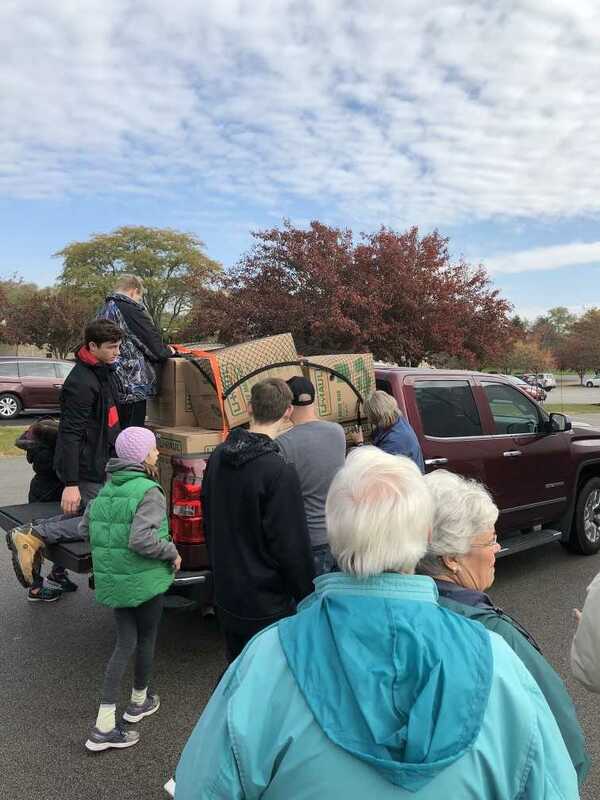 At the In-Gathering, volunteers from churches delivered needed items to St. John’s parking lot and volunteers unloaded vehicles and packed the boxes into semi-trailers. 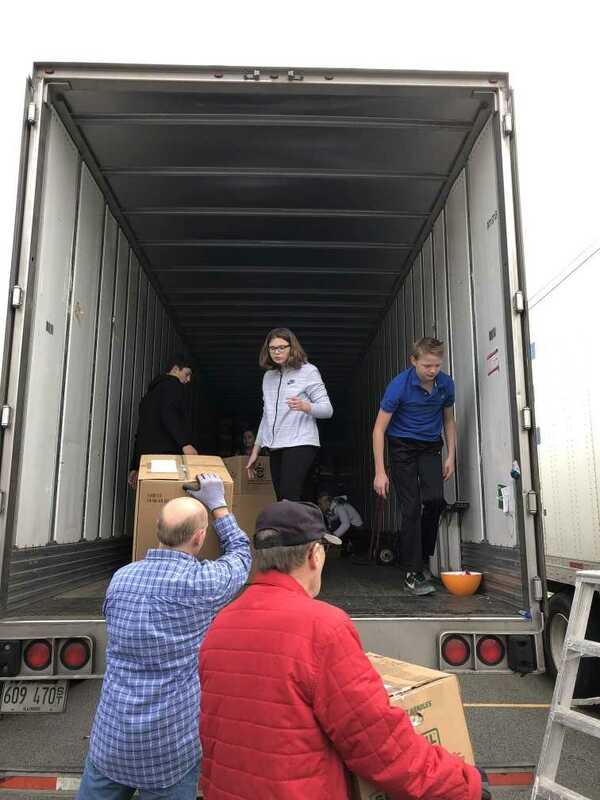 A total of 2,109 boxes (donated by 96 different churches) were packed into two semi-trucks, containing 6,189 quilts, 3,695 school kits, 3,279 personal care kits, 691 baby care kits, and 1,441.25 pounds of soap! In additional, a total of $12,346.67 was given for transportation costs. It was a beautiful day to help those in need around the world. A big thank you to St. John’s member, Vickie Robertson, who coordinates the In-Gathering and everyone from around CSIS who has helped with this project all year long!